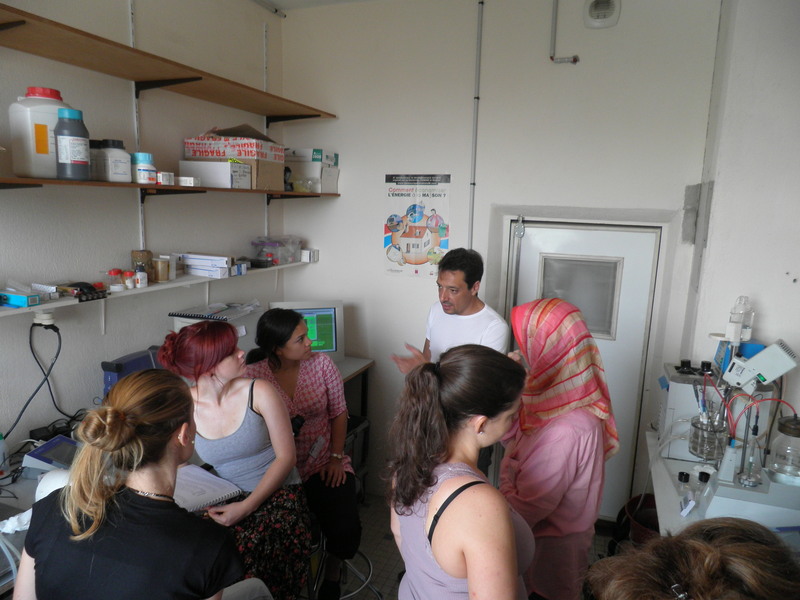 The second MedSeA training activity focused on the fundamentals of carbon biogeochemistry and in particular on the accurate measurements of the four parameters of the CO2 /carbonate system in sea water. 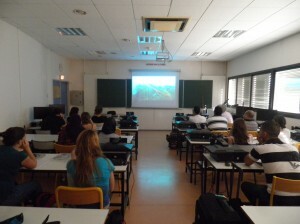 It was held at the University of Perpignan Via Domitia, France, on 15-17 June 2011. The local organizing team did an excellent job and was led by Catherine GOYET, Franck TOURATIER, Jean-Philippe SAVY, and Cédric FALCO (IMAGES–University of Perpignan Via Domitia). The training activity was extremely successful, with theoretical and practical work. The participants were separated into three breakout groups in order to facilitate the “hands on” work. Each group had the opportunity to successively 1) learn about fundamentals and theory on the carbonate system, 2) perform titrations experiments, and 3) learn about data analysing, processing and mapping. A total of 19 participants from UK, Spain, Greece, Italy, Morocco, Egypt, France, all involved in the MedSeA project attended the workshop. During this training, each participant had the opportunity to measure a seawater sample from the Mediterranean Sea for its concentrations of total CO2 and total alkalinity. The advantages and disadvantages of the various techniques of measurements of each parameter were discussed. Each participant further received through a pedagogic approach, a detailed description of the necessary steps to follow with the view to perform accurate total alkalinity and total CO2 measurements. Therefore, a Nisking bottle was at the candidate disposal in order to teach them the specific technique tuned to sample the seawater column with avoiding contacts between the seawater and the atmospheric CO2. Furthermore, the storage conditions of the samples were described in order to prevent them from any biological, chemical or physical activities. The opportunity to discover our autonomous and newly designed pCO2 apparatus was offered to the participants through a technical presentation of the pCO2 SAMI sensor manufactured by Sunburst. This presentations leads to an open discussion with the participants about the advantages and limitations of the different technologies embarked on the pCO2 sensors available on the market leads. Discussion and to improve the accuracy of each partner experiments started at the training workshop and is still on going on individual basis by email. The aim of the workshop was to provide an opportunity for training on measurement techniques as well as data analysis. A major impact of the workshop was to open the eyes of a new cohort of young European scientists to the opportunities available to improve laboratory and on board techniques for accurate measurements of the oceanic CO2 properties.